The exterior of Trattoria Epiro in Rome. I spent a year in the early nineties teaching for Notre Dame in its Rome studies program. 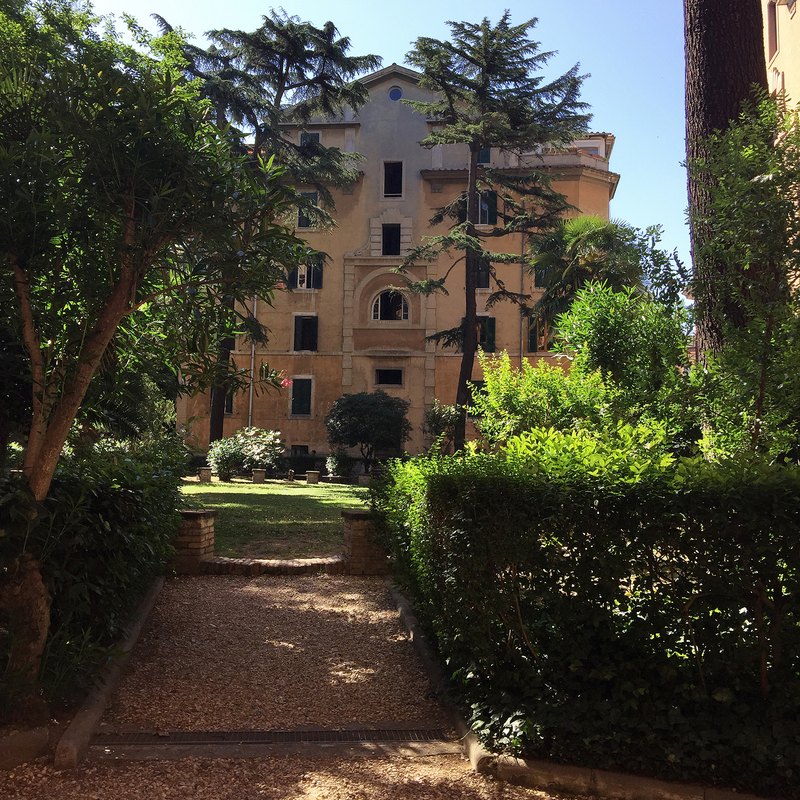 The university provided me an apartment just outside of the Aurelian walls on the east side of the city in a complex of buildings constructed in the early years of the last century. The complex is a series of five-story urban villas walled off from the street and yet defining it – the wall creates a precinct but also allows the dramatic open space that is the heart of the complex to be part of the city. There was a tradition of villas inside the Roman walls to back up to the wall. Here that tradition is implied on the outside, although there is a street between the walls and the complex which has no other name than 12 Piazza Epiro. 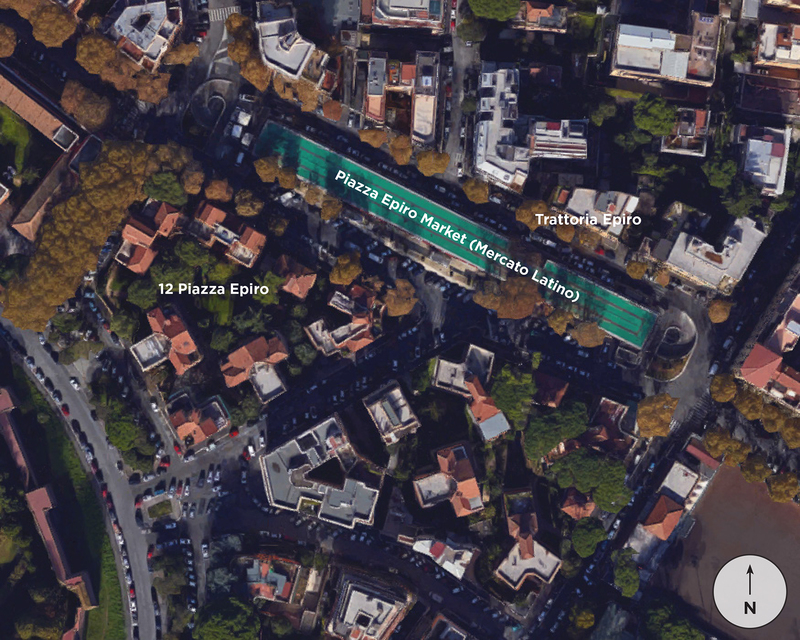 12 Piazza Epiro forms one side of a long, narrow market piazza. Early photographs show the market as a loosely organized set of tents and it was much the same when I lived there. Today this has been replaced by an underground garage and a metal and steel market hall of permanent kiosks. It is an impressive public facility but sadly turns its back on the life of the piazza, being almost exclusively inwardly focused. Map of Piazza Epiro with the Aurelian Walls to the southwest. Judging from the architecture, the neighborhood around the Piazza grew from throughout the first half of the twentieth century – buildings representing bursts of activity as the city of Rome grew in eras prior to World War I, between the wars and just after World War II. The scale of the buildings is a bit uneven, ranging from the three to five story villas of 12 Piazza Epiro to ten story complexes on nearby streets. The neighborhood has its schools, sports facilities (including a lighted soccer field), as well as churches, and is neither rich nor poor. Like much of Rome it is plagued by graffiti. 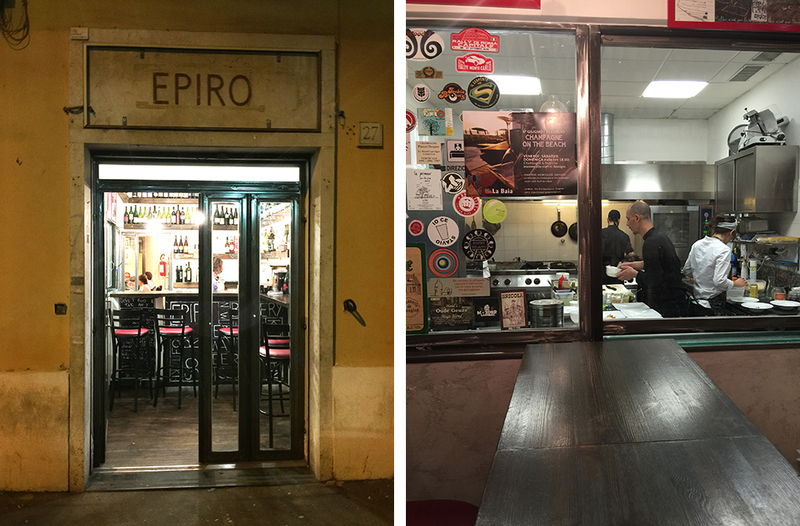 It has also lost some of its small shops in the economic crisis of the last seven years but it now has Trattoria Epiro, an amazing small restaurant and bar on the west side of the Piazza. Trattoria Epiro is the creation of five young Romans – Alessandra Viscardi, Marco Mattana, Matteo Baldi, Riccardo Luciani, and Marco Pucciotti – several of whom had worked together in various restaurants, including in the Michelin-starred Acquolina under Giulio Terrinoni. The group fell in love with the location because it had a rear garden, and promptly stopped their search. It was only then that they rediscovered Trattoria Epiro, revealed upon peeling back layers of signs. The space has housed many things over the years, including a plumbing supply house and a pizza joint. I remember it as a Chinese restaurant with small lanterns hanging outside the small doors – I never went in. 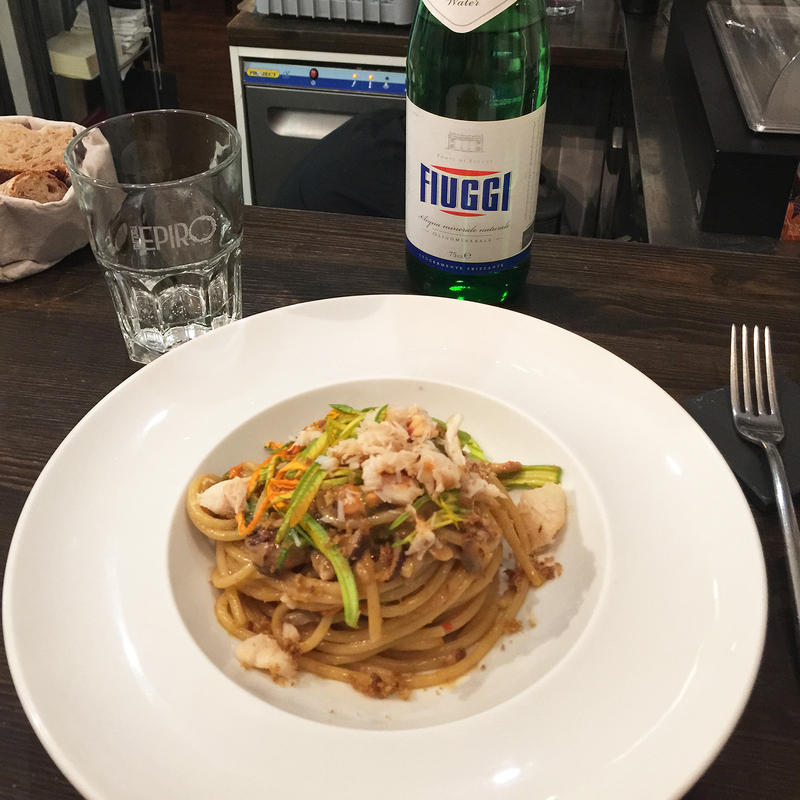 It is not surprising to find a great restaurant near a public market – but there are many things that are surprising about Trattoria Epiro. The project plays with convention almost constantly, from the cuisine to the architecture. Pasta finds its way into main courses and traditional orderings of courses are disrupted. This may not seem strange to Americans, but in Italy much of the culinary world adheres to a cannon and the challenge is how well you can do the classics. For a sophisticated young Italian architect friend of mine, for example, there is no greater challenge than how well one can cook a pizza margherita. 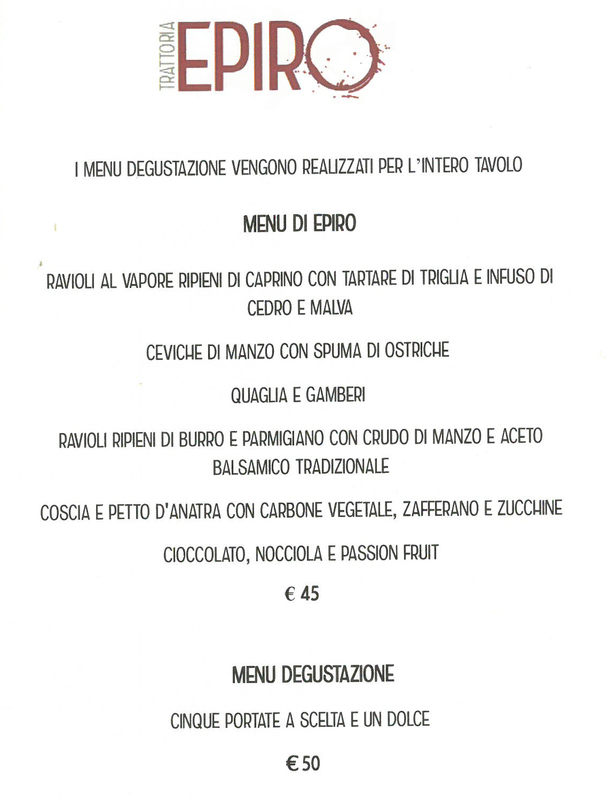 This is not the project at Trattoria Epiro. The restaurant also shows its debt to Acquolina in its emphasis on showcasing seafood. Today the left storefront is occupied by the kitchen and the right by a tiny wine bar with four stools and a view into the adjacent kitchen. One is left wondering how you get to the dining room and garden behind. It’s then that you learn that the main entrance (with no sign) is the garden gate to the left. The second night I had a late bite at the wine bar and had spaghetti with crab, salicornia, porcini and zucchini flowers, accompanied by the Malvasia that I had enjoyed from the night before, and chatted with Alessandra about their project while observing the passionate cooking through the glass wall into the kitchen. Each generation rebuilds the world that they inherit; Romans have been doing this for millennia. 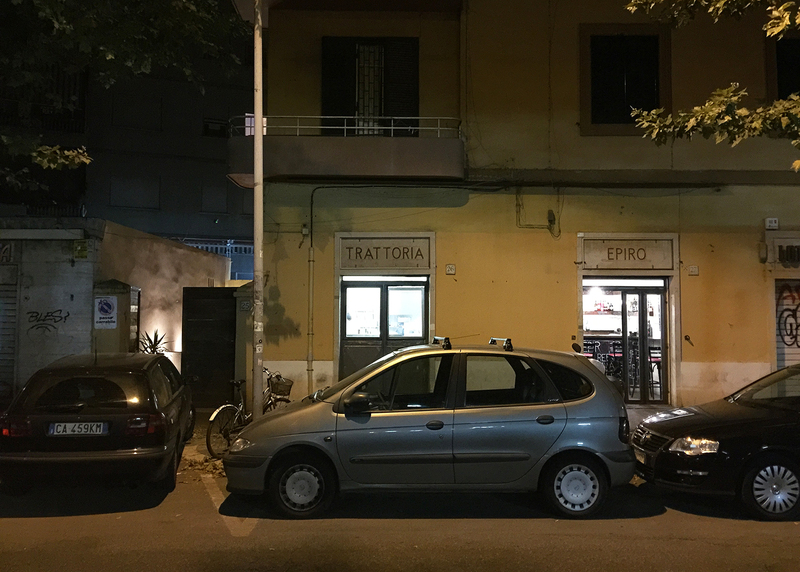 Trattoria Epiro is one of those stakes in the ground that sends many profound messages about creativity, a willingness to explore, and a readiness to inhabit a not-so-old Roman neighborhood in a new way. The restaurant has a following of admirers from beyond the neighborhood but it cannot help but define the place, given the quality and its name. We wish them well.